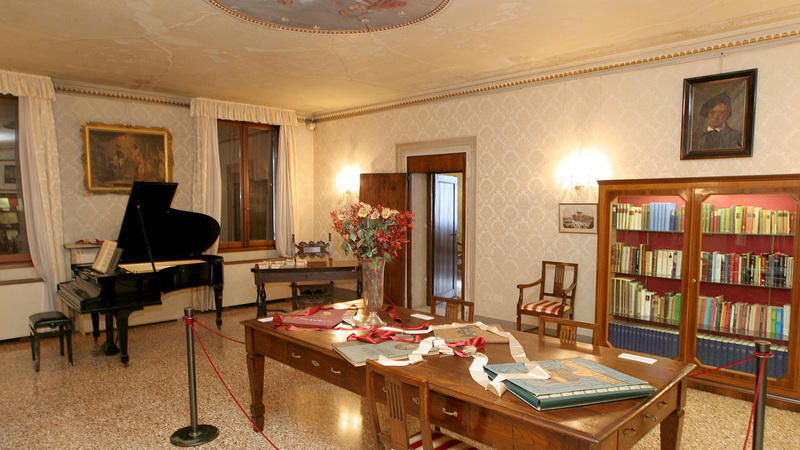 On February 13 1995 the room on the mezzanine floor where the famous composer, Richard Wagner lived, was entrusted by the local authorities to the Associazione Richard Wagner di Venezia, headed by Giuseppe Pugliese. The area has since been turned into a museum and opened to the public in eternal memory of the composer and his love for Venice. Since 2003 the adjacent rooms have also been added to the museum to house the Josef Lienhart collection; a donation including rare documents, posters, scores, signed letters, paintings, records, lithographs and various other heirlooms. 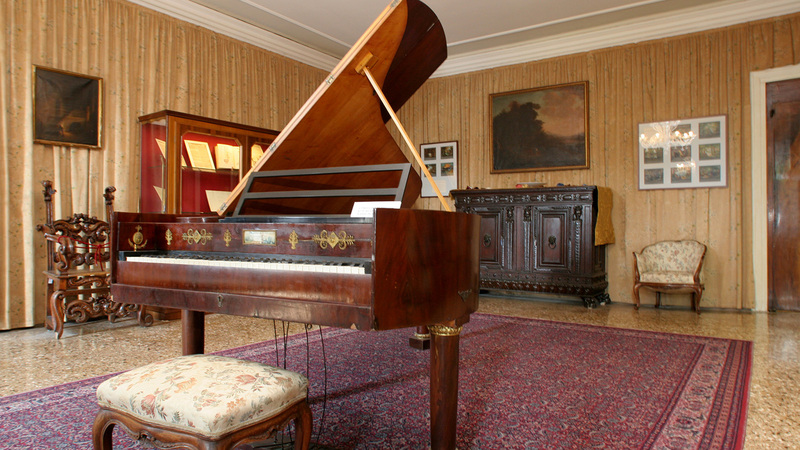 This is now the largest private collection dedicated to the great German composer outside Bayreuth. A secluded location, far from worldly disturbances. An escape from the burdens of day to day life and sentimental turmoil. In search of somewhere outside of time, somewhere magical enough to rekindle the light of nameless inspiration. Driven by a desire for peace and quiet, Richard Wagner made Venice his oasis. "Life in the big city has become completely unbearable for me, mainly because of the din of carriages that infuriates me. Now everyone knows that Venice is the calmest city, I mean the quietest city in the world and that is why I have decided it is absolutely the place for me", he wrote in a letter to his father-in-law, Franz Liszt before arriving in Venice on the first of his six stays in August 1858. On his return from Palermo, in April 1882, having completed the Parsifal score for the second edition of the Bayreuth Festival, scheduled for the summer of 1882, Wagner rented from Count Bardi, who was often out of town, the entire mezzanine floor of the Ca' Vendramin Calergi. The composer arrived on September 16, and spent his last winter here in the city with his family, before passing away on February 13 1883. Today a number of his rooms have been turned into a museum. Exhibitions, publications, conferences, round tables and concerts. 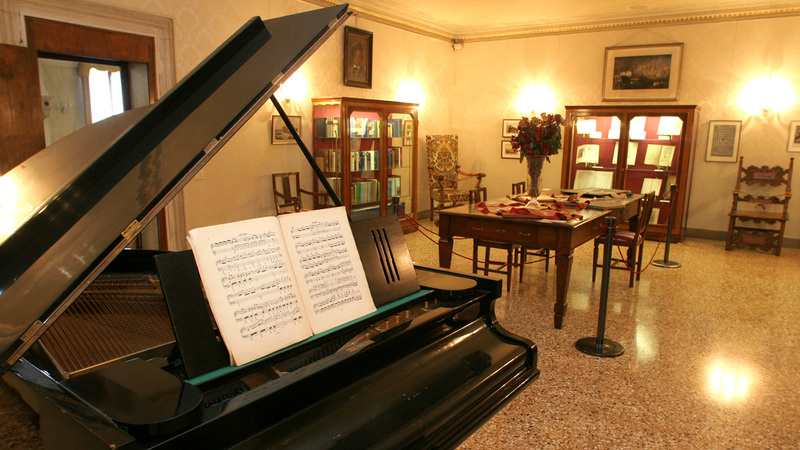 The Associazione Richard Wagner di Venezia organizes numerous events aimed at widening knowledge and promoting studies of the life, music and literature of Richard Wagner. This includes the Centro Europeo di Studi e Ricerche Richard Wagner - Richard Wagner European Study and Research Centre (C.E.S.R.R.W. ), based in his rooms here. 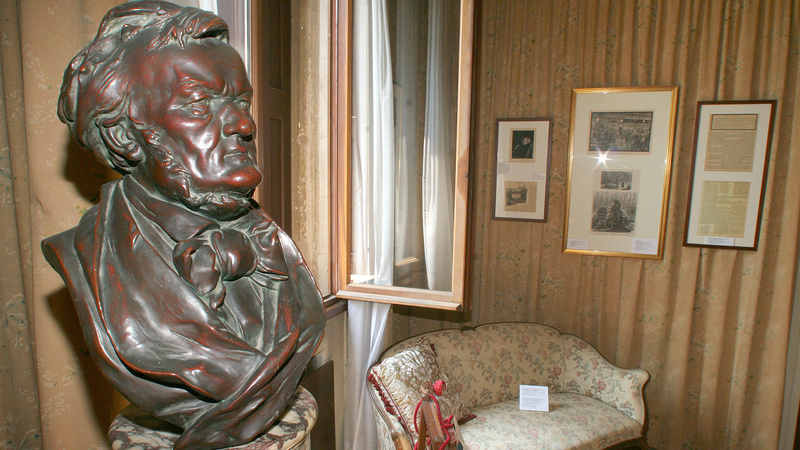 In collaboration with the Casinò di Venezia and the Fondazione La Fenice, the Association also organizes the annual Richard Wagner Honorary Concert, the Bayreuth Scholarship Student Concert, and the Young Concert Musicians cycle during Wagner Days, a festival dedicated to performances of both the Maestro's better and lesser known works and the music of other composers who influenced or were influenced by him. The Association's rich and varied programme includes events and concerts in the Casinò's Festival Hall.